Over 300 attendees from Europe and the UK to gather at City from 1-3 March to explore open source software development. From 1-3 March, over 300 attendees from various parts of Europe and the UK will converge on City University London to participate in one of the largest open source software jamborees of its kind in the UK. DrupalCamp 2013, will draw together Drupal open source software enthusiasts, established businesses and start-ups, business leaders, and City computer science students. Interim Dean of the School of Informatics, Professor Kevin Jones, will welcome participants on Friday, 1 March and the weekend will feature close to 50 talks on a wide range of Drupal topics. "City is in the enviable position of hosting this year's Drupal Camp. Given our reputation as a university with an accent on excellence in business and the professions and our close relationship with leading-edge Tech City companies, our partnership with DrupalCamp 2013 will deliver significant benefits to students participating over the weekend. We are proud to be associated with open source communities and we are grateful for the opportunities that Drupal has offered to our students." Director of the Deeson Group, Tim Deeson, one of DrupalCamp 2013's organisers (others include Alex Burrows, Hedley Smith, Della Deme, Ben Wilding, Farez Rahman, George Hazlewood, John Kennedy, and Leon Tong), sheds light on Drupal and its collaboration with City. Drupal is a free, open-source content management system (CMS) for online content and user communities. Drupal runs over a million web sites with users such as the Cabinet Office, the World Economic Forum, the Grammy Awards, Oxford University and The Economist. 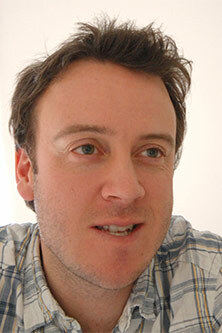 Dries Buytaert began the Drupal software as a message board in 1999 in Belgium. Within a year or so, more people became interested in using and contributing to Drupal, so the project was made open source.Drupal.org came online in 2001, and the Drupal community gained momentum in 2005 with several collaborative coding sessions and conferences. Why did you choose City for this year's Drupal Camp? City's School of Informatics is recognised as a centre of excellence in its field and the University has incredible facilities, perfectly suited to the kind of collaborative conference that is DrupalCamp. The event simply wouldn't have been possible without the university recognising how unique Drupal is and going out of its way to provide a huge amount of support. Alex Elkins and Emma Leaver in particular have bent over backwards to help us make arrangements for the event. What do you hope to achieve at DrupalCamp 2013? 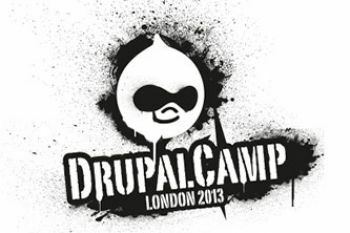 Since the last major Drupal event in the UK - DrupalCon London - in 2011, there has been on-going demand for a follow-up event and it's been great to be able to satisfy that. Over 300 attendees are travelling from all over the UK and Europe, often to collaborate in person on projects that they may have worked together on remotely for months or years. Some sections of the community are working on Drupal 8, the next version of Drupal and often these events are used to make key technical decisions in person. Friday's Business Day will be used to introduce around 100 organisations to what Drupal is and what it can do for them. Alongside this, there is a training event for web developers interested in getting up to speed with Drupal. Both are designed to ensure that Drupal keeps growing fast! The weekend includes nearly 50 talks on a huge range of Drupal topics aimed at beginners right through to some of the latest developments globally. This rapid knowledge sharing and collaboration is what attracts many people to Drupal. How will City students benefit from DrupalCamp 2013? The event brings globally renowned speakers to share their knowledge right on their doorstep; we were delighted to offer free tickets to students who wanted to attend the weekend sessions. As a DrupalCamp we were very lucky to have the Friday training run by Lullabot from the US, a company considered to be the best Drupal training provider in the world, students have also taken advantage of discount tickets to this event. Software development is an incredibly fast-moving field and hopefully it provides students with a taste of how their current academic learning may be applied in the future. How did you become acquainted with Drupal? As a company, we worked with a variety of web platforms for around five years until 2007 when we realised that we needed to standardise an appropriate platform that would grow with our clients to deliver their requirements. After about six months of research we settled on Drupal as being powerful, flexible and likely to succeed in the long term. It has created great opportunities for us and we try and give back to the community as much as we can. Drupal has been able to build a large and very enthusiastic global community in a short space of time. What do you think have been the main ingredients of Drupal's success? Drupal is open source software maintained and developed by a community of 630,000+ users and developers all over the world. It's licensed under the terms of the GNU General Public License (or "GPL"), which means anyone is free to download it and share it with others. This open development model means that people are constantly working to make sure Drupal is a cutting-edge platform that supports the latest technologies that the Web has to offer. The Drupal project's principles encourage modularity, standards, collaboration and ease-of-use. Why are Drupal's users so keen to evangelise their experiences? I think Drupal attracts people who want to work at the cutting edge of web technology and want their work to be the very best that it can be. Drupal (and open source software generally) is very meritocratic and is often faster moving than traditional software developed by a single commercial organisation. The Drupal community is also very diverse and reflects the commercial eco-system that operates around it. People contribute to the project not just by writing code but by creating documentation, design, testing and training. I think people are genuinely excited to share their experiences and the benefits they discover.